The Peacock Baetis is very good in the early spring and late fall. It imitates the small baetis nymphs that are plentiful during these seasons. Hook : 16-22. TMC 100. Thread : Black 8/0 . Tail : Black hackle fibres. Thorax : Olive brown Hairline dubbing. Wing case : Peacock krystal flash. Legs : Picked out dubbing from thorax. 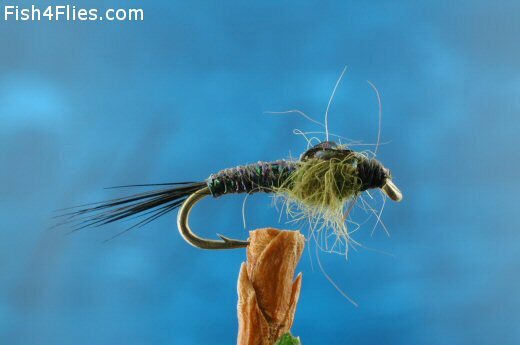 Currently there are no comments about the Peacock Baetis fly pattern from other fly fishermen yet.